I tried to be good until my birthday dinner, which our dear neighbor, Bernice, treats the whole family to each year. I hit 750 calories for breakfast and lunch. Could have done better, but it was also pretty healthy—like walnuts that have a fair amount of calories, but are super healthy. Then I went to dinner. I refused to count calories at my birthday dinner, but I did do a few things right. I drank water instead of my favorite Mexican restaurant treat—Horchata. When the waitress learned it was my birthday and brought me a dessert afterwards, I had a bite or two, then passed it around the table instead of eating it. I brought some of my meal home for another day. 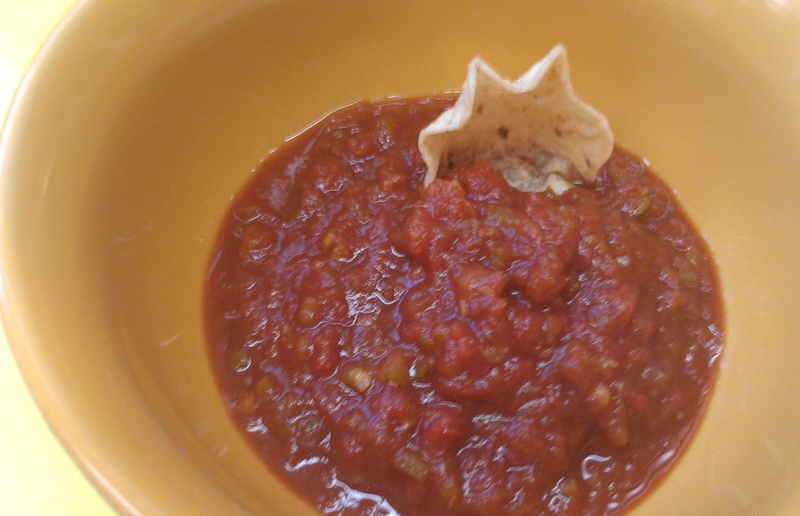 But I had NO self-control when it came to chips and salsa. I have no idea of my calorie intake, and I don’t want to know!! I’m learning that special events here and there really don’t affect my weight loss journey if I’m just reasonable with my eating and keep walking and counting calories the rest of the week. Believe it or not I lost weight Christmas week, while I ate my oh-so-yummy homemade pecan pie. Still, a couple of things help me at parties. Sometimes I eat something healthy (like a salad or my shake) before the event so I’m not starving. I don’t have no-no foods that make me feel deprived, but I’m intentional about taking small portions of things I know to be unhealthy and/or high in calories. And I usually avoid extra calories through fancy drinks or soda. Once in a while I splurge here, but it’s an intentional choice. How do you handle eating at special events? I do the same. A shake or a salad before an event seems to let me splurge and taste the goodness.but not want to indulge on everything. And I always try to ride my bike extra the day before, of, or after. It makes me feel like I have broke even. I think your improved health from feeding your body powerful nutrition through BENew diminishes the effects of special event eating. I think you’re right, JR. And most of the beta testers also said the BeNew products have reduced their cravings for unhealthy food. I’ve definitely noticed a change in what I want. I still do occasional homemade goodies, but fast food or that sort of thing doesn’t even sound good. You make me smile, Alex. I see we share a similar view on salsa!